The best way to find out the profitability and reliability of trading system is to check its statistics on Forex market for the last couple years. We have made such tests for two currency pairs AUDUSD and EURUSD (additional pair). As you can see below, even for the last years the results are really astonishing. And now the system works even better what can be seen on our trading accounts! 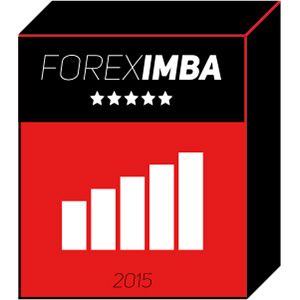 Foreximba works successfully on our accounts for a year and during this period of time has shown stable and very profitable result. There is real money on all our accounts, it is not a demo! Supply package contains: 1 license for any account and changing account online unlimited number of times. Also we provide detailed manual and if you have some questions our friendly support will gladly answer them. We believe in our product, that is why we provide 30 days money back guarantee. You will be able to get a refund if you use our recommended settings during the first 30-day period without interrupting the EA's work and get a drawdown more than 40%. Smaller drawdowns can happen, it's normal for a strategy, and they will be covered very quickly. If all the conditions are fulfilled, we will provide you a full refund and a copy of ForexImba is going to remain with you as a compensation.